I am one of the winners of this year’s Nobel Memorial Prize in Economic Sciences, which makes me acutely aware of criticism of the prize by those who claim that economics – unlike chemistry, physics, or medicine, for which Nobel Prizes are also awarded – is not a science. Are they right? Robert J. Shiller, a professor at Yale, learned on Monday that he had won the Nobel Memorial Prize in Economic Science, along with Lars Peter Hansen and Eugene F. Fama of the University of Chicago. 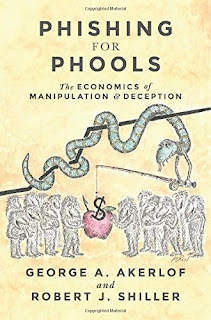 The Nobel committee described Professor Shiller as a founder of the field of behavioral finance, an innovator in incorporating psychology into economics and a pioneering analyst of speculative bubbles in the stock and real estate markets. He is also one of a group of eminent economists who write the Economic View column for Sunday Business, and has contributed 60 of those columns since August 2007. As the editor of that column, I have talked to him often about his work, and on Wednesday, he called me from the airport en route to a lecture at the Dutch central bank in Amsterdam. Here is an edited, condensed version of that conversation. HOME prices have been rising rapidly, so much so that there is talk that we are entering another national bubble. In fact, according to the S.& P./Case-Shiller Composite-10 Home Price Index, which Karl Case of Wellesley College and I developed, home prices in the United States were up 18.4 percent in real, inflation-corrected terms in the 16 months that ended in July. During the housing bubble that preceded the 2008 financial crisis, the largest 16-month increase wasn’t much bigger: 22.7 percent, for the period ended in July 2004. The Best, Brightest, and Least Productive? NEW HAVEN – Are too many of our most talented people choosing careers in finance – and, more specifically, in trading, speculating, and other allegedly “unproductive” activities? In the United States, 7.4% of total compensation of employees in 2012 went to people working in the finance and insurance industries. Whether or not that percentage is too high, the real issue is that the share is even higher among the most educated and accomplished people, whose activities may be economically and socially useless, if not harmful. CAPITALISM is culture. To sustain it, laws and institutions are important, but the more fundamental role is played by the basic human spirit of independence and initiative. ENCOURAGING homeownership has been considered a national goal at least since “Own Your Own Home Day” was introduced in 1920 by various business and civic groups as part of a National Thrift Week. The newly popular word “homeownership” represented a goal and a virtue for every good citizen — to get out of the tenements and into one’s own home. Homeownership was thought to encourage planning, discipline, permanency and community spirit. SOCIAL SECURITY is expected to run out of reserves by 2033 — a mere 20 years from now. With the public apparently opposed both to tax increases and to benefit cuts, the main politically feasible way to avoid such a fate seems to involve some monkeying with obscure aspects of the definition of benefits. The high unemployment that we have today in Europe, the United States, and elsewhere is a tragedy, not just because of the aggregate output loss that it entails, but also because of the personal and emotional cost to the unemployed of not being a part of working society. HOUSES are just buildings, but homes are often beautiful dreams. Unfortunately, as millions of people have learned in the housing crisis, those dreams don’t always comport with reality. Economic and demographic changes may severely impair the value of a home when it’s time to sell, a decade or more in the future. Will a particular home still be fashionable then? Will social and economic shifts tilt demand toward new designs and types of communities —even toward renting rather than an outright purchase? Any of these factors could affect home prices substantially. SINCE 1997, we have lived through the biggest real estate bubble in United States history — followed by the most calamitous decline in housing prices that the country has ever seen. Fundamental factors like inflation and construction costs affect home prices, of course. But the radical shifts in housing prices in recent years were caused mainly by investor-induced speculation. WHAT prices will today’s home buyers get if they sell a decade from now? Most people live in their home for many years. They don’t need to view it as an investment at all, but if they do, they surely need a long forecasting horizon. The problem is that modern economics has a poor understanding of past movements in home prices. And that makes the task of predicting the state of the market in 2023 challenging, at the very least. Still, we can learn something by analyzing the factors that affect home prices in general. There has been some good news lately: home prices have risen over the last year, and with those gains there has been a renewed sense of optimism. But do these price increases mean that homes are now good investments for the long haul? NEW HAVEN – With much of the global economy apparently trapped in a long and painful austerity-induced slump, it is time to admit that the trap is entirely of our own making. We have constructed it from unfortunate habits of thought about how to handle spiraling public debt. THE recovery in housing, the stock market and the overall economy has finally gained sustainable momentum — or so it is said. That opinion seems to be based on several salient facts. Unemployment has been declining, from 10.0 percent in October 2009 to 7.7 percent last month. More spectacularly, the stock market has more than doubled since 2009 and has been especially strong for the last six months, with the Dow Jones industrial average reaching record closing highs last week and the S.& P. 500 flirting with superlatives, too. And the housing market, seasonally adjusted, has been rising. The S.& P./Case-Shiller 20-city home price index gained 7 percent in 2012. WE'RE beginning to hear noises that we've reached a major turning point in the housing market - and that, with interest rates so low, this is a rare opportunity to buy. But are such observations on target? It would be comforting if they were. Yet the unfortunate truth is that the tea leaves don't clearly suggest any particular path for prices, either up or down. NEW HAVEN – As US President Barack Obama begins his second term, he needs a simple way to express his vision and policies for the economy – a metaphor around which support for his policies might crystallize, thereby boosting his administration’s political effectiveness. So, what makes a successful metaphor work?